Three more things that the interwebs has taught me in the past week are here! 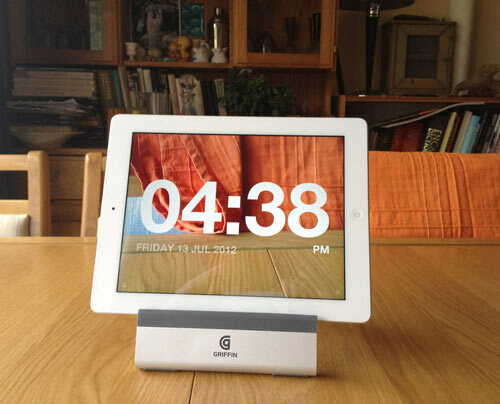 A great app that I spotted on Think Tank PR’s Twitter feed this week is the iPad Chameleon Clock. This hasn’t really taught me anything, but it just looks really, really cool. According to BetaBeat, Blackberries are now so embarrassing that people are hiding them under iPads (though you’ll be able to see them with the above app). Such a shame and quite a considerable fall from grace from the previous power player in the smartphone arena. Although I can concur – with a work Blackberry that is only good for emailing, it’s not hard to understand why people who have one want to hide them. In related news, I’m still having an ongoing debate: iPhone 5 vs. Samsung Galaxy S3: which one should I upgrade to?! A great slideshare available here for anyone who wants to explain the difference between advertising and social media, and most importantly, how you should integrate the too. I really like John V Wiltshire’s quote: if advertising is a firework, then social media is a firework. Simple, yet effective. Who knows what the Internets will teach me next week!